File photo Carnegie Library, 194 East Church Street, in 1940. Xenia’s first library dates to March 1816. Carnegie Library, 194 East Church Street, in 1940. 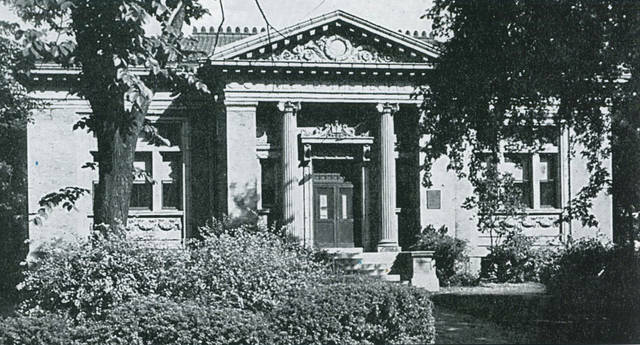 Xenia’s first library dates to March 1816.
https://www.fairborndailyherald.com/wp-content/uploads/sites/50/2018/07/web1_CarnegieLibrary.jpgFile photo Carnegie Library, 194 East Church Street, in 1940. Xenia’s first library dates to March 1816.